Achieve your full potential and consider in-stock ladies cross country singlets that are designed for maximum comfort and support. 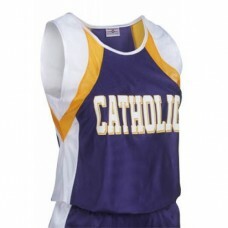 Check out the line of uniforms from Shop4teams that are specifically designed to boost your speed and endurance. We have built one of the largest online catalogs of cross country uniforms around so you can find all the tools you need to conquer any course you come across. Size chart 92% polyester/ 8% spandex pinhold mesh. Wicks moisture away from the body. Ladies fit. He.. Size chart 100% polyester wicking knit. Wicks moisture away from the body. Ladies fit. Hea..